In an odd twist, I haven’t actually seen the movie this book was based on before I started reading it. Sure, I was aware The Kite Runner was a notable book, but I knew little about it other than the peripheral knowledge that comes from seeing an occasional movie trailer. About five years ago, I found this book for cheap at a bookstore and decided to pick it up on a whim. Now that I’ve finally read it, I’m glad I bought it those many years ago. Unquestionably, it deserved the notoriety it received, as it is a well-written and engaging story. I’ll admit that there is much I don’t know about the specifics of Afghanistan and Islam. This book certainly opened my eyes to a lot of things I had suspected, but could never confirm. First of all: men are awful. I’m a man myself, but I’m ashamed that so much of human misery is linked to the pride that distorts any of us into racists, sexists, and/or terrorists. While it was likely just a result of correctly depicting a patriarchal culture, The Kite Runner shines a harsh light on the hypocrisy of a fair number of men, most of whom only ascribe to these long-held “ideals” because it helps them maintain power and cover their insecurities. The emotional heart of the story lies with the relationship between Amir and Hassan. By the end of the book, while I found the “twists” to be logical and almost predictable, they still elicited an emotional response from me. In fact, I almost would have thought this book to be a true story, were it not for the plot being just slightly too convenient at times. Sure, The Kite Runner made me mad that such thinking existed/still exists, but the fact that it caused me feel so strongly about it proves how effective its storytelling is. 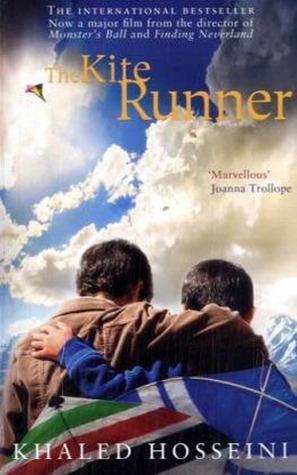 A modern classic filled with timeless lessons, I give The Kite Runner 4.5 stars out of 5.